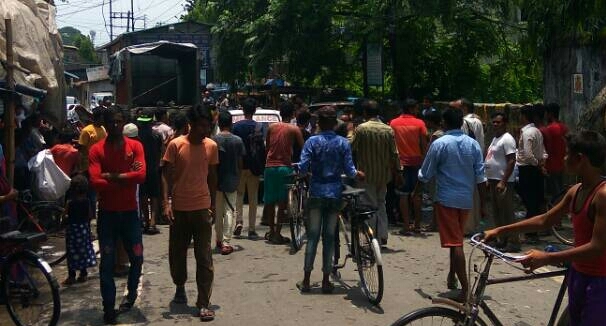 An old man riding a cycle was crushed under the wheels of a truck at Hill Cart Road today morning around 11am. 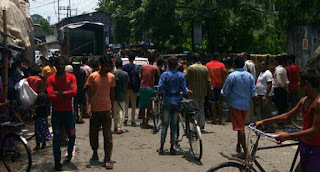 The incident took place on the by-lane of Lions eye hospital beside Mahananda bridge at Hill Cart Road. Soon after the incident driver fled from spot. Eyewitnesses say the old man's head and other parts of the body were crushed by the truck wheels. Police and ambulance at spot.